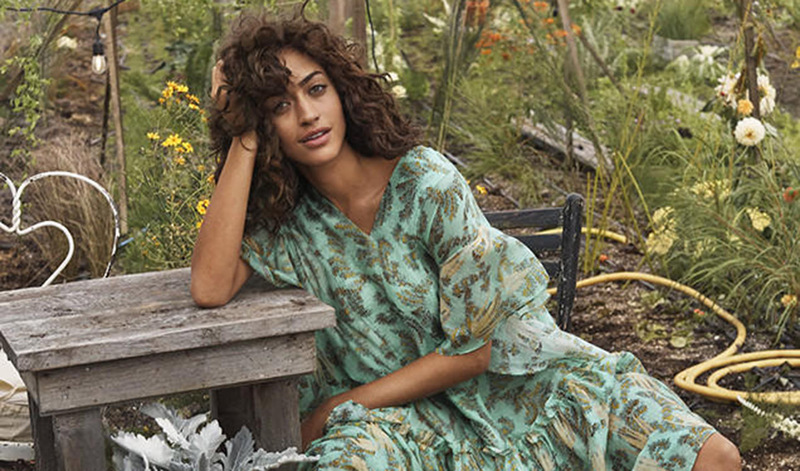 For Spring 2019, H&M has launched its Conscious Exclusive collection, which explores the healing power of nature, while also embracing innovation with sustainable materials and processes for a more sustainable fashion future. The collection will be available in selected stores worldwide and online at H&M’s website. With the Conscious Exclusive collection, H&M introduces new sustainable materials and new for this season are Piñatex, a natural leather alternative made from cellulose fibers extracted from pineapple leaves, BLOOM Foam, a plant-based flexible foam using algae biomass, and Orange Fiber, sustainable silk-like fabrics made from citrus juice by-products. The collection is inspired by the natural beauty surrounding us and nature’s importance for our well-being. Minerals, trees and plants were translated by the design team into jacquards and flowing printed fabrics. The colour palette consists of lavender, sand, aqua blue, petrol blue and coral pink along with black, gold and silver.